Sandgate Primary School is a 2-form primary school set on the outskirts of Folkestone, Kent. We are an ‘Outstanding’ school and part of the Shepway Teaching Alliance. ‘Everyone deserves the taste of success.’ We believe that every child that comes to school deserves to flourish, and it is this which leads our drive to empower children as readers and writers through Talk for Writing. 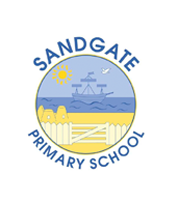 In 2013, Sandgate was a lead school in a two-year project working directly with Pie Corbett on developing writing in Shepway. Following the conclusion of the project, we have seen the arrival of a new curriculum and new accountability expectations. Talk for Writing has continually grown and developed as we have refined our practice to place the principles of Talk for Writing at the heart of everything we do. This has had a significant impact on standards of reading and writing but even more notably has empowered children as independent authors and lovers of English. 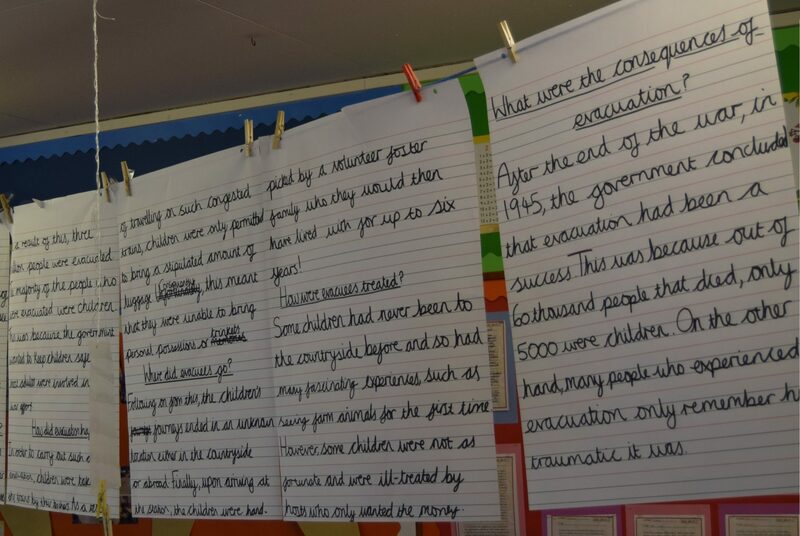 Talk for Writing is used from Foundation through to Year 6, with the key underlying principles forming the basis for all English teaching in our school. Our goal as class teachers and as a school is to develop capable, independent writers. It is this that drives all teaching and learning and has led to significant improvements in the number of children achieving ‘expected’ standards and also ‘greater depth.’ Vocabulary, language and authorial choice are championed and it is this that allows us to develop true fluency and understanding of language in order to achieve ever-greater heights. Children are exposed to spelling, punctuation and grammar in the context of their writing, and it this which drives a greater conceptual understanding of the spelling, punctuation and grammar principles that children are expected to understand by the end of the key stage. Since 2012, we have been a lead partner in the Shepway Teaching Alliance and seek to promote outstanding teaching and learning. We have a number of Specialist Leaders of Education here at Sandgate and subsequently work closely with schools through the Shepway Teaching Alliance to provide high quality training and continually strive for further improvement. Through becoming a Talk for Writing Training Centre, we look forward to continuing to work with schools in Kent and beyond on empowering children as readers and writers. Based upon specific requirements, we can tailor training packages or visits to suit. This half-day course is ideal for practitioners who are new to Talk for Writing or have only a brief knowledge of the process. 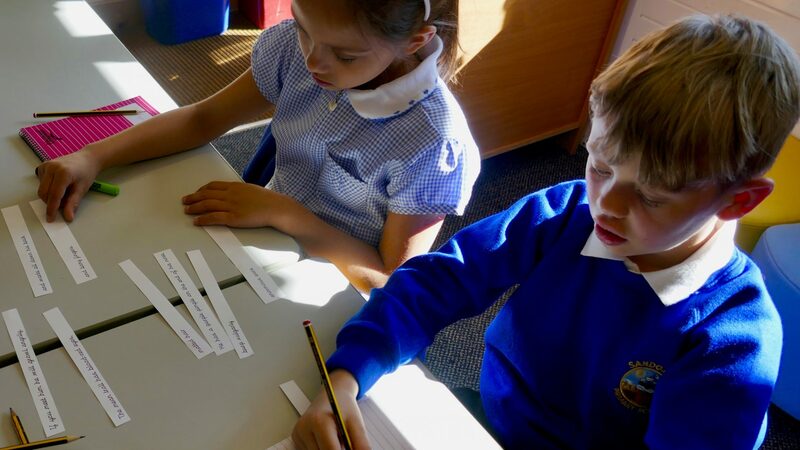 This half-day course is ideal for practitioners who are interested in how Talk for Writing can be used to develop greater independence in writing in KS2. This half-day course is ideal for practitioners who are interested in how Talk for Writing can continue to grow and develop following initial implementation.